Mint, never hinged stamp sheetlet. Republic of Somalia, 2003. 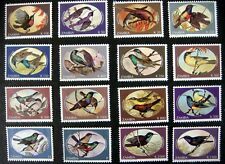 1993 MNH SUNBIRDS. See Picture Above for the Types of Birds. This MNH Set Features 16 Different. GREAT addition to any Wildlife or Bird Collection. Scott #623-638. Year of Issue 1993. This Set is Beautiful and would be a. 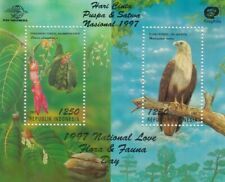 (French Polynesia 2019 Birds - Tahiti Petrel & Tahiti Monarch - Mint Never Hinged (MNH). Set of 2 values (2v Set): 10F, 80F. You will be back for more! 3) Select each item and 'Add to Basket'. (Sheetlet with 4 values (4v M/S): 200f x 4. 3) Select each item and 'Add to Basket'. (Set of 1 value (1v Set): E0.95. You will be back for more! 3) Select each item and 'Add to Basket'. (Liechtenstein 2018 Bird's Eyes - Artistic Photography - Mint Never Hinged (MNH). Set of 3 values (3v Set): 100, 130, 150. You will be back for more! 3) Select each item and 'Add to Basket'. :- The item you receive may not be the item scanned, but will be of similar quality. No Exclusions. Date of issue: 01 November 2006. Republique du Senegal, 2000. Mint, never hinged stamp sheetlet. Mint never hinged stamp sheetlet. Repoblikan'i Madagasikara, 2000. Australia 1182-1183 gutter,MNH. Antarctic Research,1990.Glaciology,Krill.Bird. Australia 1182-1183 gutter pairs, MNH. Cooperation in Antarctic Research, 1990. Glaciology, Krill. St vincent Grenadines. 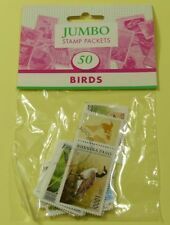 BIRDS and Eggs on 20 Value Mint NH Complete Set. Scott #133 - 152 Mint NH. Hard to find the complete set of 20 in Never Hinged Condition. we can provide you with better service. Cattle Egret. 2000 MNH MALDIVES. SOUVENIR SHEET. This Souvenir Sheet is Beautiful and would be a. BIRDS OF THE. GREAT addition to any Wildlife or Bird Collection. This Sheet Features a. and Fun Stuff at. (Somalia 2002 Owls - Mint Never Hinged (MNH). Sheetlet with 9 values (9v M/S): Sh.So.2600 x 9. =================================================. 3) Select each item and 'Add to Basket'. 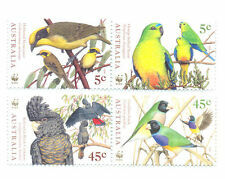 This is the 2004 "Birdlife International" set from Kiribati in unmounted mint marginal condition.
" 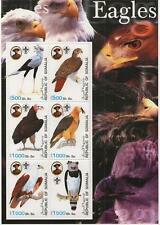 BIRDS " BELARUS - 2007 " BIRDS, OWLS - Set 4 in Block 4 " U/M .SG.698/701.
" BIRDS " BELARUS -2007 " BIRDS, OWLS - Set 4 in Block 4 " . (Sheetlet with 4 values (4v M/S): 2500 Ariary x 4. 3) Select each item and 'Add to Basket'. 2,50 Euro Katalogwert laut Michel O-Europa 18/19. 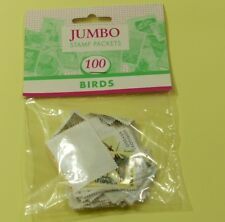 Mint, never hinged animals of the world parrot stamp sheetlet. From Republique du Niger, 1998. This is the 2006 "Birdlife International" set featuring pheasants from Vietnam in both unmounted mint and fine used condition. 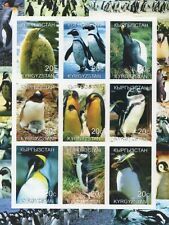 (Somalia 2002 Penguins - Mint Never Hinged (MNH). Sheetlet with 9 values (9v M/S): Sh.So.2600 x 9. 3) Select each item and 'Add to Basket'.